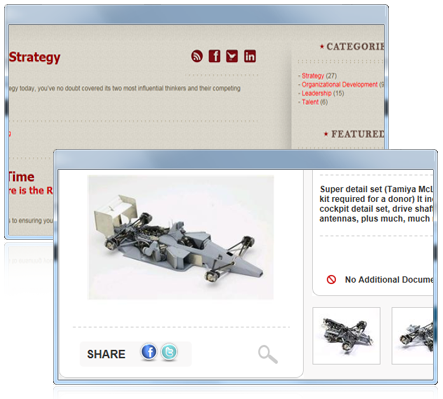 With the click of a button simulcast your Web Sites content to the social platforms of your choice. SLIM Social is a suite of tools that integrates your Web site content with social media in a way that is simple, quick and from one central location. You may have noticed how difficult it's been lately to keep up with the constant changes that are taking place across many of the major social networks. Facebook no longer talks to Twitter and Linkedin no longer integrates with Facebook causing rediculous productivity roadblocls for companies trying to managing their social presence. With the creation of SLIM Social we've taken the individual Social Community out of the equation and created a hub where you can control your social presence without the hassle of trying to keep up, predict and work with social networks that are clearly not getting the concept of a truly integrated online experience. No more navigating to several different social networks to update content. SLIM Social is an integrated suite of tools that provide one click content publishing to the social networks of your choice, simultaneously, and from one location. Integrating with any 23D Modular Web App, SLIM Social provides organizations with the flexibility in choosing the content to syndicate and the social network community to target. Whether utilized as a complete system or separately, SLIM Social Tools are virtually effortless and require little to no technical knowledge to operate. 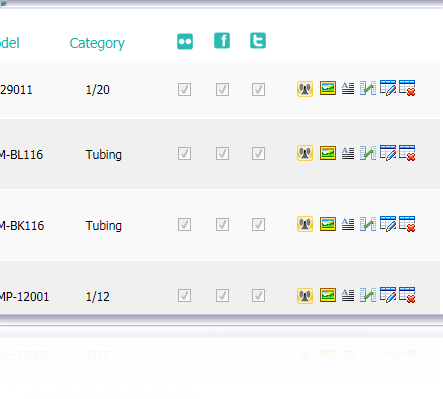 Simply choose the modules that you would like to syndicate, the network to update and click. 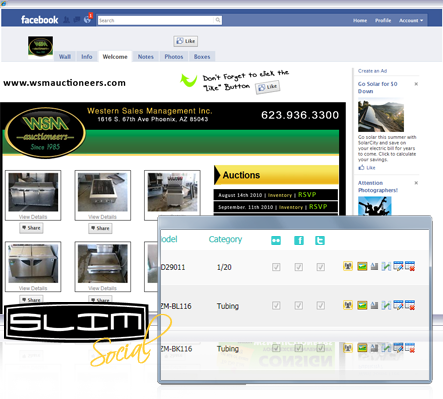 Social Simulcast connects your Web sites individual module content directly with social media from your SLIM control panel. Utilize Social Simulcast to target specific audiences with specific content as well as push content out quickly without the hassle of navigating to each site within your social community. Connect with customers by integrating them into the experience. Make it easy for your audience to share your blog posts, products, services, and content from your Web site or Facebook Mini-Site with the click of a share button. 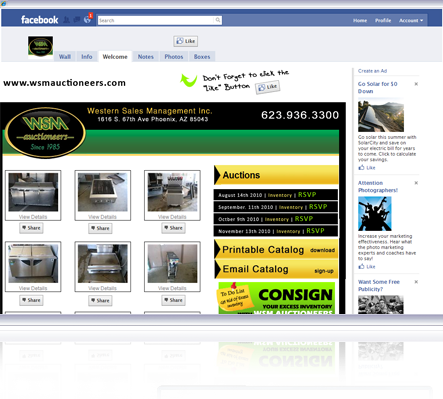 Create a seamless experience from your traditional Web site to your Facebook community. 23D Facebook Mini-Sites connect directly with your SLIM control panel allowing for the highest level of control and integration across all communications channels. 23 Degrees is an Interactive Brand Strategy Company utilizing Interactive Strategies, Branding, Technology, Interactive Marketing and Measurement to deliver online what our clients do best.